Darren (AKA Fred) and Ann Hunne are generously donating $5 from items sold via Red Pandah Creations to help promote awareness of the importance of organ donation. Fred is waiting for a liver transplant after he suffered chronic liver failure from excessive alcohol consumption for 30 years. Now a complete teetotaller and living with a variety of medical challenges including cardiomyopathy and atrial fibrillation, Fred is determined to make the most of his time waiting for his second chance. 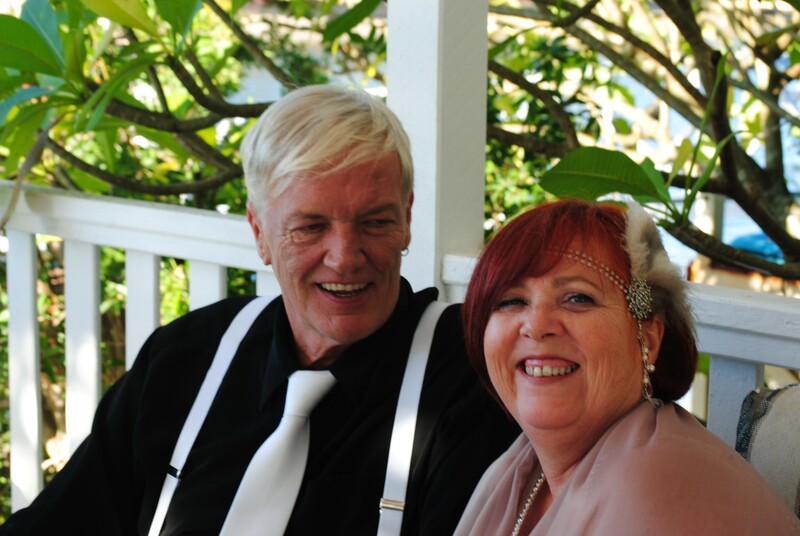 He married Ann in a rushed but beautiful ceremony at their home on the Sunshine Coast. After facing death numerous times in the last 6 months and calling himself a ‘miracle’ Fred lives with a positive mindset and never gives up. In between numerous medical check-ups he uses his creative talents to make stunning, bespoke wooden gifts which include ‘lazy susans’, coat racks and cheese platters. Ann also creates intricate material floral arrangements which are suitable for hospital wards. We are so grateful to both Fred and Ann for choosing to donate funds from their talented creations and we hope that through the promotion of organ donation, Fred receives his gift of life soon. Visit www.redpandah.com to shop online. Fred designs and handcrafts beautiful bespoke cheeseboards, among other things. One of Fred’s custom-made tables. One of Ann’s floral designs.